ATD-Orange County is the space in which the local talent development community can practice and perfect their talent development skills. This meeting will connect professionals to resources or practices that can help them strengthen those competencies they feel would benefit from further development. Join our subject matter experts (SMEs) for networking and expanding your range of competencies in some high-powered tabletop discussions. 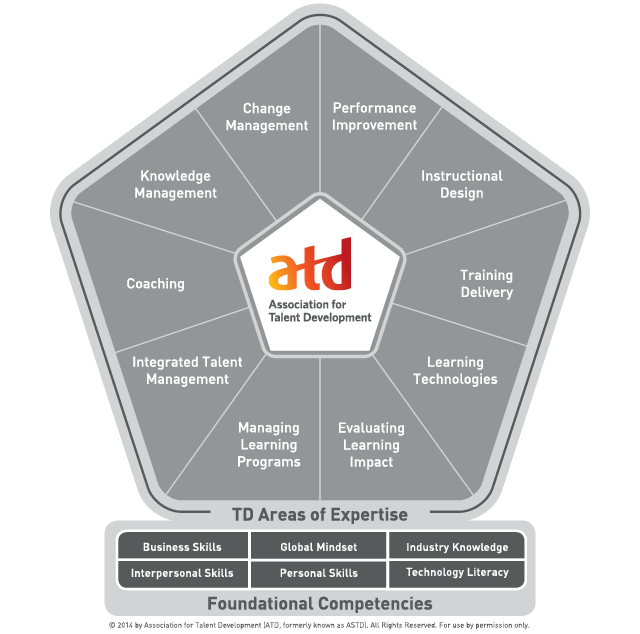 In today’s competitive market, maintaining excellent in the foundation competencies described by ATD is a guaranteed plus for your future. Your ability to exhibit a range of competencies that expands beyond traditional facilitation and instructional design skills is how you distinguish yourself as a professional. This meeting connects you to resources and practices that strengthens those competencies with further development. Through a series of facilitated discussions, participants will identify best practices and resources that can help them strengthen a select group of talent development competencies (as defined by ATD). Each SME will facilitate one of the table top discussions. With fast-paced interactions, you will hear the best practices that make a difference, before moving on to the next table. Fun, interactive, and packed with knowledge, you will experience this session from inside out. The competencies shared in this session are straight from ATD’s Competency Model (the basis for their CPLP certification). As talent development professionals, we’re becoming increasingly aware of the importance of aligning our training programs to the corporate vision, mission, or strategic foci. ATD suggests a talent development professional should go beyond that, demonstrating business understanding and knowing how to drive business results and outcomes. Join us and solidify your future!